We can test your programs for flashing problems, and issue PSE certificates using DPP approved devices. 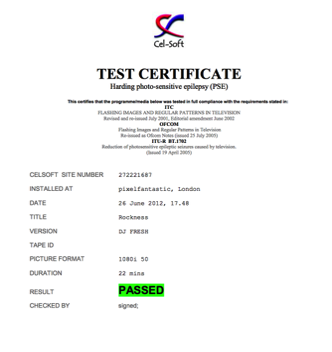 We use VidChecker for automated QC and CelSoft's PSE-Check for Photo sensitive epilepsy tests and certification. 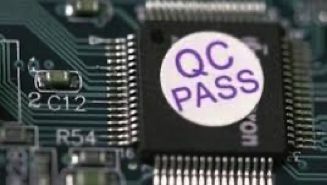 Where needed, we can repair even highly flashing programs, and certificate them for the UK broadcasters. We have fixed hundreds of programs, and are well respected for fixing in a manner appropriate to the program content. We use the custom written pixelfantastic PSE Fixer software, which lets us quickly repair programs which others have flagged as 'unfixable'.